Palisade fencing is an effective means of perimeter security that provides a good alternative to a high wall. There are a number of advantages to choosing palisade fencing as a means of protecting your property. It is a very neat-looking option, and can be painted easily with your colour of choice to match the environment or buildings. It is a deterrent to potential intruders, and offers no place for intruders to hide should they attempt to enter your property illegally. Palisade fencing also has the advantage of being quick to install, and it is also easily moved. Sections can be easily replaced if they are ever damaged by vehicles or falling trees. 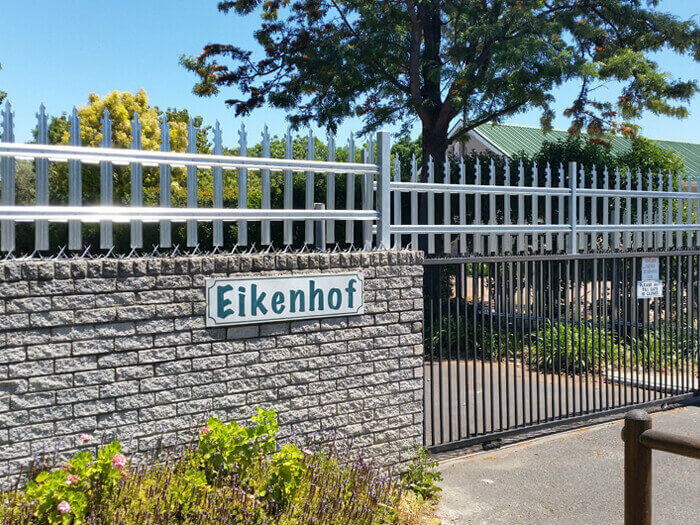 Palisade fencing is also very durable – it can handle harsh weather conditions and does not require much maintenance in the long term. Where can palisade fencing be installed? Palisade fencing is a very popular choice for a number of property types particularly those need high security. 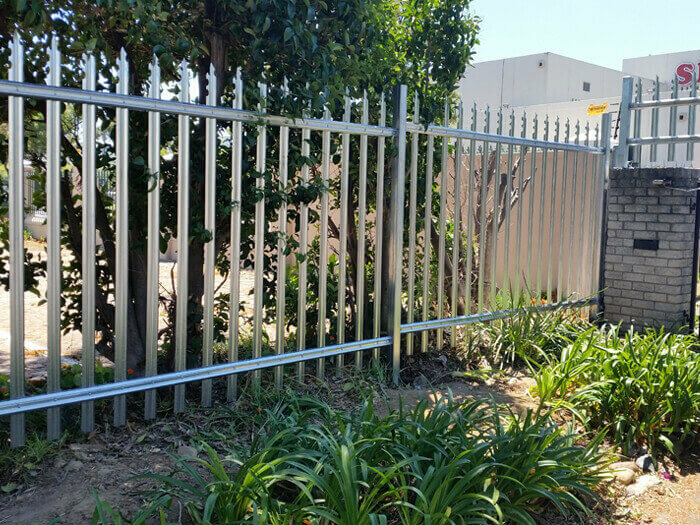 Industrial sites, as well as schools, churches, and other public areas often opt for palisade fencing because of its durability and the fact that it is extremely difficult to climb onto and over. We offer a number of options when it comes to palisade fencing. Please don’t hesitate to contact us to find out more about the styles, heights and finishes we have available. If you are not sure if palisade fencing is the best option for your particular property, we can help to advise you and provide you with the necessary information. You can also combine palisade fencing with other security systems, such as security camera systems, or razor wire – let us know what level of security you are looking for and we will help you come up with a plan best suited to your needs.